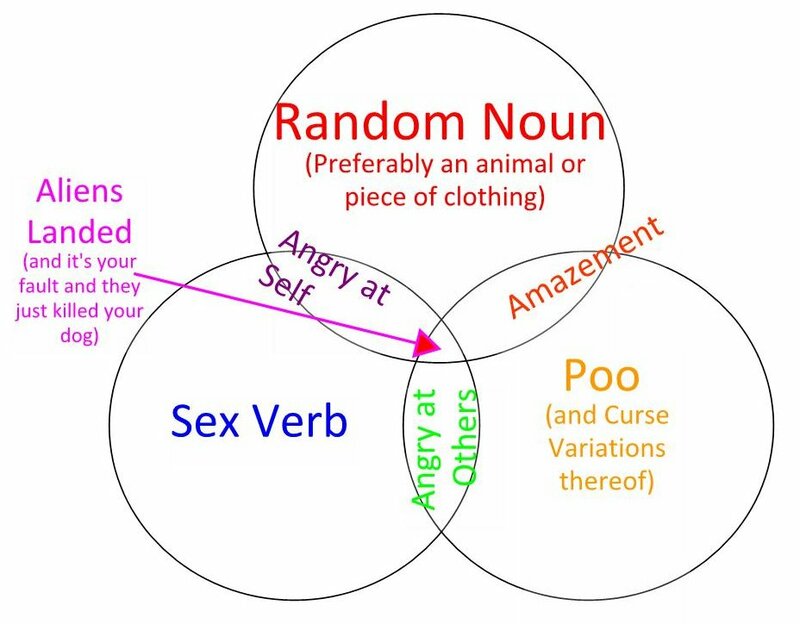 There were several times today while I was Venning when I thought to myself, "What am I, some kind of magical Venn unicorn who can just shoot Venn Diagrams, rainbows, and happiness out of my horn?" Dear readers, those were some dark times. I have come out of those dark times into this meadow of circles and words to realize that yes, yes I am a magical Venn unicorn. There's no theme. There's barely even logic. Enjoy! Are you thinking about making a movie or a commercial? 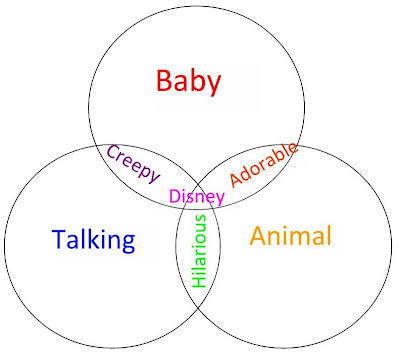 Please consult this diagram first. 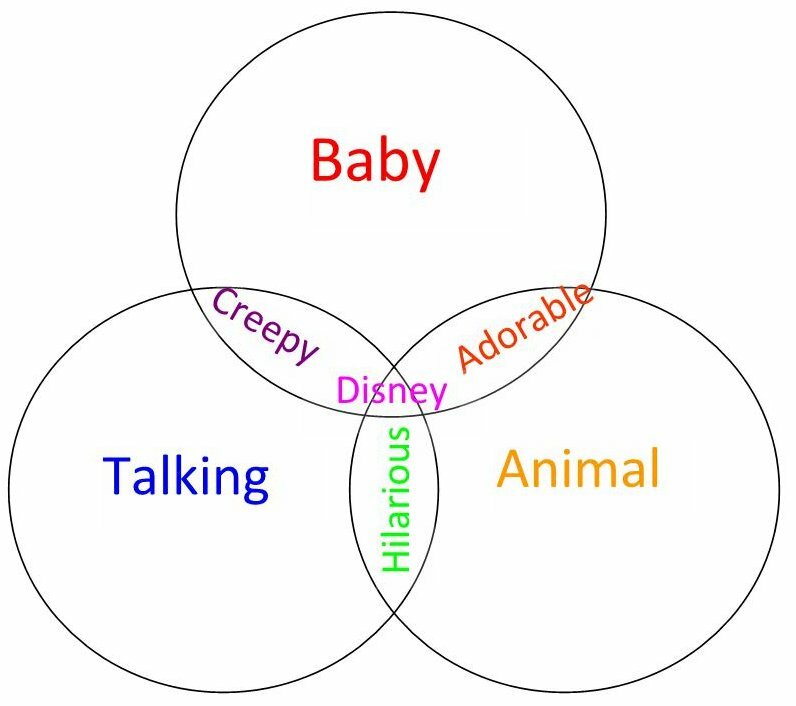 Talking babies are creepy (I'm talking to you, eTrade). I don't want to see any more of them. Baby animals, on the other hand, are the greatest thing ever. I would like it if there were more streaming puppies (remember this? OH MY GOD, I can't believe I missed the second litter last April). I struggled with this. 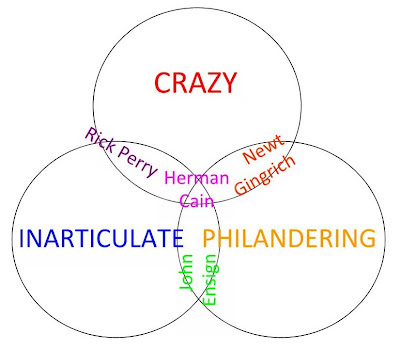 I had a really, really hard time coming up with someone from the GOP who was not crazy but still a philanderer. If you don't know who John Ensign is, please leave it that way. 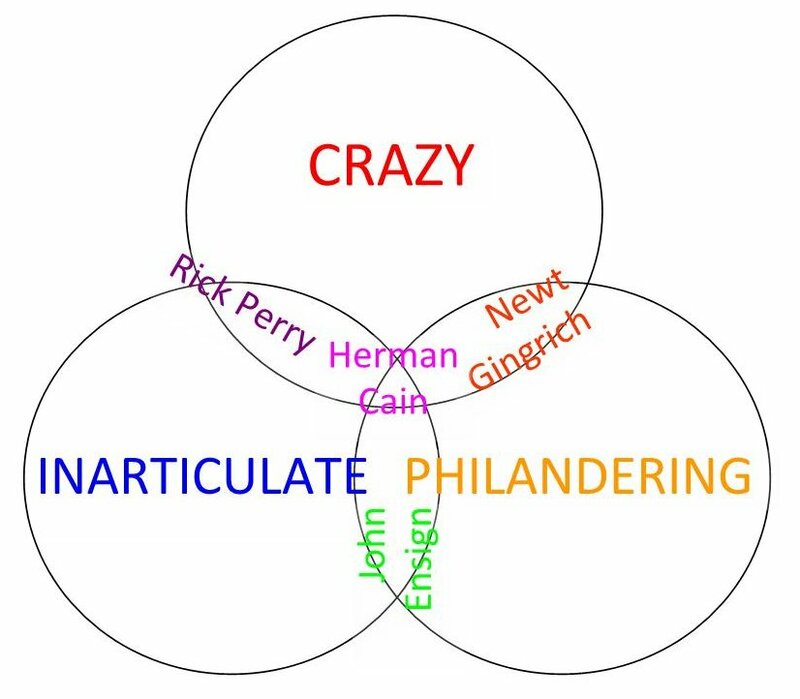 And, sadly, Newt passes for articulate in the field of candidates. Also, according to me, Mitt wins. If you hang around me long enough, you'll hear me swear in weird ways. I do it when I'm excited and when I'm angry and when I'm sad. 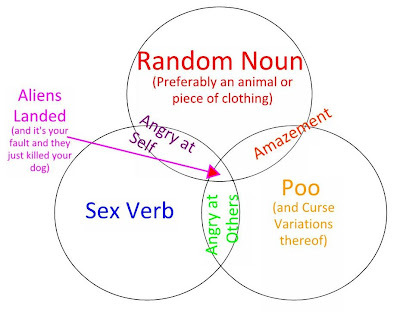 If you want to swear like me (and I'm sure you do), follow the above diagram. For example, when I see something awesome, I say "Holy crapmonkeys, there's something awesome!" and when I realize I have just lost 3 hours worth of work because I didn't save, I say "Awww, fuckpants, I can't believe autosave has failed me." I rarely get angry, but if I did, I would probably tell someone to go screw some poo, you stupid pooscrewer.